Academy Award winners Russell Crowe and Rene Zellweger star in this triumphant, powerfully inspiring true story. In a time when America needed a champion, an unlikely hero would arise, proving how hard a man would fight to win a second chance for his family and himself. Suddenly thrust into the national spotlight, boxer Jim Braddock would defy the odds against him and stun the world with one of the greatest comebacks in history. Driven by love for his family, he willed an impossible dream to come true. $18.320 million on 2812 screens. Every once in a while, summer counter-programming works. That theory says that if you put out something other than a loud, action blockbuster during the hot months, adults will rush to it since it has so little competition for their dollars. Flicks like 2002’s My Big Fat Greek Wedding and 2003’s Seabiscuit came out of the shadows to rake in big bucks in the summertime. Maybe counter-programming only works for “sleeper” flicks that don’t arrive with much hoopla. When big-name directors try to counter-program, it doesn’t seem to work as well – at least not based on the last couple of summers. In 2004, Steven Spielberg failed to find an audience with The Terminal. Despite his presence behind the camera and stars like Tom Hanks and Catherine Zeta-Jones in front of it, the movie pulled in a surprisingly tepid $77 million. In 2005, Cinderella Man hit the screens with plenty of hype. Folks touted it as a big summer hit even though it seemed like the kind of movie better suited for the quieter fall season. With big names like Ron Howard as director and Russell Crowe and Renee Zellweger as actors, it was viewed as a potential box office force. That didn’t happen. With a take of $61 million, Cinderella didn’t tank, but it sure fell short of its goals. Did Crowe’s notoriety for his telephone-tossing incident hurt it at the box office? Maybe, but Tom Cruise drove everybody batty with his nutty antics before War of the Worlds hit screens and his actions didn’t hurt its profits. I’d like to say that Cinderella merited a wider audience, but I can’t do so. While the movie offers a moderately entertaining piece, it never manages to turn into anything special or memorable. Cinderella Man starts in the late Twenties and introduces us to rising star James J. Braddock (Crowe). The boxer is on the upswing and looks ready to challenge for the title. Unfortunately, Braddock starts to lose, some injuries make things tough for him, and the Depression robs him of his investments. After a quick intro to Braddock on the rise, we join him in the depths of financial despair and see how poverty impacts on Braddock, his wife Mae (Zellweger), and his kids Howard (Patrick Louis), Jay (Connor Price) and Rosemarie (Ariel Waller). He still fights, but for low purses and without success. Eventually boxing promoter Jimmy Johnston (Bruce McGill) retracts Braddock’s license and leaves the boxer with no options other than to scrounge for manual labor along with scores of other guys. While Braddock scrapes to make a living, he gets one more fight. His old trainer Joe Gould (Paul Giamatti) offers him a last minute bout in which he essentially will act as a sparring partner. Braddock cares less about his pride than about the money he’ll make, so he accepts. Wonder of wonders, Braddock manages to win the fight. At first he sees this as little more than a fine farewell to the ring, but soon more offers come to him. Gould recruits him to make a comeback, and Braddock starts to rise in the rankings again. All of this leads toward a climactic battle against intimidating champion Max Baer (Craig Bierko). Cinderella Man rarely proves to be less than entertaining and interesting. That certainly doesn’t make it memorable or special, though. Part of the problem stems from Howard’s work behind the camera. He tends to be a sterile filmmaker. Howard can connect to the superficial emotions of a scene or story but he finds it more difficult to connect to deeper feelings. This means the movie tugs at the predictable heartstrings and hits the anticipated notes but fails to go any deeper than that. Granted, material like this becomes challenging due to the “been there, done that” nature of the story. Boxing stories are tough to tell in this day and age because we’ve already seen so many of them. What does Cinderella have that makes it stand out from the others? Not much. Its factual basis is a positive, and the Depression environment sets it apart from many other flicks. And that’s about it. I suppose the riches to rags to riches side of this lets it stand out from fare like Rocky, but those elements don’t become terribly important or impressive. Braddock’s lost wealth adds a little pain to the proceedings at best. I don’t think I feel worse for him that for anyone else slammed by the Depression. I simply find little about Cinderella that comes out as fresh or new. Howard never puts his own stamp on it, perhaps because I’m not sure Howard has a stamp. Over his career, the director has hit on many different genres, most of which he handled with reasonable success. However, this means I don’t see a signature style. He’s almost too versatile and facile. He comes across like a jack of all cinematic trades but a master of none. Howard seems like one of the nicest people in Hollywood, and he does create good movies much of the time. He just lacks the panache or punch to do anything inventive or genuinely impressive. To be sure, I dig flicks like Apollo 13 and some others, but I can’t favorably compare Howard’s best to the top efforts of his notable contemporaries. That leaves Cinderella Man as yet another of Howard’s pedestrian films. Except perhaps for the heavy-handed presentation of Baer, I can find little about the film to actively fault. Professional to a fault, it presents impeccable production values with solid performances and almost nothing that goes truly amiss. It simply lacks a spark that might make it special. Entertaining and enjoyable, Cinderella falters because we’ve seen it before, and we’ve seen it done more effectively. Cinderella Man appears in an aspect ratio of approximately 2.35:1 on this double-sided, double-layered DVD; the image has been enhanced for 16X9 televisions. Like the movie itself, the transfer of Cinderella Man was good but not extraordinary. Sharpness looked fine for the most part. I thought some wide shots were a little too soft, partially due to the presence of some light edge enhancement. Most of the movie came across as acceptably concise and accurate, though. No issues with jagged edges or shimmering occurred, and I noticed no signs of print flaws. As one might expect from a period piece like this, colors remained quite subdued. The movie usually boasted a sepia feel without many distinctive tones. The occasional flash of color looked appropriate within the design, and the hues seemed fine for what they were. Blacks came across as full and well-developed, while shadow detail was quite good. Especially when the Braddocks lost electrical power, we got a lot of low-light scenes, and the DVD presented these with solid clarity. Nothing went terribly amiss here, but I didn’t think the image deserved a grade above a “B”, mainly due to the issues related to sharpness. I felt the Dolby Digital 5.1 soundtrack of Cinderella Man also fell into “B” territory, mainly due to a lack of sonic ambition. I thought this mix would open up more than it did. Boxing matches brought some life to the proceedings, as they showed decent spread to the sides. However, they lacked much zing, and the surrounds usually stayed a little more passive than I’d expect for depictions of a spectator sport. At least the forward speakers worked fine. In addition to the boxing scenes, other shots offered nice imaging across the front. These featured a fair amount of unique information and contributed a good sense of place. Music also demonstrated solid stereo delineation. Across the board, audio quality remained positive. Speech was consistently firm and natural, with no edginess or other issues. Music showed good warmth and range, while effects were concise and clean. Bass wasn’t remarkable, but the low-end added kick when appropriate. This was a perfectly serviceable track. Across this package’s two DVDs, we get a mix of extras. Side One of DVD One features three separate audio commentaries. The first comes from director Ron Howard, as he gives us a running, screen-specific discussion. I wouldn’t call Howard a scintillating speaker, but he covers his work in a full manner. Howard tells us about the personal origins of his interest in doing the film, the actors’ training, improvisation and interactions, research and artistic license, cinematography, lighting and camerawork, music, set design and shooting in Toronto, costume design and attempts at period realism. Howard handles everything in a clear, matter of fact way. Again, he doesn’t come across as a particularly exciting speaker, but he fills the time with good information and makes this a worthwhile commentary. Next we hear from screenwriter Akiva Goldsman. He brings us his own running, screen-specific chat. Unfortunately, Goldsman’s track proves to be much less successful than Howard’s. Goldsman discusses characters and story issues along with research and notes from the set. Occasionally Goldsman throws out some nice tidbits, but much of the time he does little more than narrate the film. He also goes quiet frequently, and that leaves us with lots of dead air. And I do mean lots of dead air; this becomes a serious nuisance. I don’t think we learn enough unique information to make Goldsman worth a listen. Finally, we get a commentary from writer Cliff Hollingsworth. He offers his own running, screen-specific chat. Hollingsworth wrote the original drafts of the screenplay, and much of his conversation discusses how it differs from the final film. Hollingsworth gets into what parts of the movie come from his version and tells us what changes others made. He also goes over some issues with research as well as the many examples of artistic license; Hollingsworth makes sure we know what was fact and what was fantasy. That subject alone turns this into a good commentary. Some dead air occurs, but at least Hollingsworth’s chat doesn’t suffer from the acres of nothing found in Goldsman’s commentary. My only real disappointment comes from the fact we learn nothing of how Hollingsworth collaborated with the filmmakers – if he did so at all. Throughout the track, he refers to the team of Howard, Goldsman and Russell Crowe as “them” and he never seems very warm towards the filmmakers. Did they take his work and cut him out of the mix? I don’t know, but I sure don’t get the impression that Hollingsworth is on particularly good terms with “them”. I can’t say I’m surprised he doesn’t dish dirt – if there’s any to explore – but I’d like to know what happened with his script after he finished it and what input he did or didn’t have. Even without those notes, however, this ends up as a useful discussion. Side One opens with some Previews. We get ads for Gladiator, Law and Order, and Pride & Prejudice. As we move to Side Two of DVD One, we launch with seven Deleted Scenes. This area opens with an introduction from Howard, as he gives us an overview of the material. From there we find 21 minutes of footage. In these clips, we see: more with Jim and Joe in his salad days; desperation in the work line; Jim and Joe talk about his future; an extended version of Jim’s attempt to hide his broken hand; the Braddocks stand in the bread line; Jim sells his shoes; Jim reads Roosevelt’s inauguration speech over a montage of work-related bits. Virtually all of these clips feel redundant and unnecessary. The shots of Jim at his peak are the most useful since we don’t see much of that, but we also don’t need this information; the shorter version in the final cut offers more than enough material in that regard. The rest come across as repetitive. They do little more than beat us over the head with Jim’s woes, and we don’t require that. We can watch the deleted scenes with or without commentary from Howard. He presents perfunctory notes. Howard gives us quick remarks about why he cut the pieces but he doesn’t reveal much else. A featurette entitled The Fight Card: Casting Cinderella Man fills 22 minutes and 58 seconds. This presents movie bits, behind the scenes materials, and interviews with Howard, casting director Jane Jenkins, producer Brian Grazer, and actors Russell Crowe, Renee Zellweger, Paul Giamatti, Craig Bierko, Bruce McGill, Paddy Considine, and Rosemarie Dewitt. The show looks at Crowe’s training and approach to his role, finding the other actors and their work, research and more training, improvisation and interaction, and Howard’s direction of the actors. I think too much general praise pops up here, as we hear how great everyone is. Despite a lack of depth, some good notes can be found. We get a nice general look at how the actors got their parts and learn just enough to make this a useful piece. Next we find The Man, The Movie, The Legend: A Filmmaking Journey. This 14-minute and two-second piece offers remarks from Howard, Crowe, Grazer, Zellweger, Goldsman, producer Penny Marshall, director of photography Salvatore Totino, production designer Wynn Thomas, costume designer Daniel Orlandi, and executive producer Todd Hallowell. The show gets into the genesis of the project, its themes and Braddock’s impact on his era, Howard’s interest in the Depression, photographic and production design choices, costumes, locations, and inflatable extras. Some of this material repeats from the commentary, especially when we hear from Howard. However, the issues related to the visuals present nice insights. The show flies by too quickly for great depth, but it works fine overall. For the Record: A History in Boxing goes for six minutes, 39 seconds. 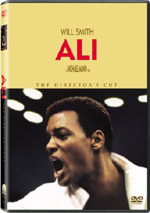 It includes statements from boxing consultant Angelo Dundee as it looks at his work on the film. We also hear from Howard and boxing trainer Wayne Gordon as we get notes on Crowe’s boxing training and Dundee’s other efforts on Cinderella Man. This adds up to a neat little examination of Dundee’s contributions. During the nine-minute and 11-second Ringside Seats, we get a chat between Howard, Grazer, Goldsman and novelist Norman Mailer as they watch clips from the actual Braddock-Baer bout. They discuss the methods used and some background to the elements. It’s especially good to see the historical footage, and the commentary elaborates on the material well. For the final featurette, we head to Jim Braddock: The Friends & Family Behind the Legend. The 11-minute and 12-second show includes some archival comments from Braddock along with notes from Howard, Crowe, son Howard Braddock, granddaughter Rosemarie Dewitt, and grandson Tim Braddock. They contribute a few notes about the facts behind this adaptation. We hear a lot that we already know, but the personal touch adds nice material, especially from Howard Braddock. Side Two concludes with a Kodak Cinderella Man Gallery. I thought this two-minute piece would present photos from the film. Instead, it gives us a banal ad for Kodak. Boo! 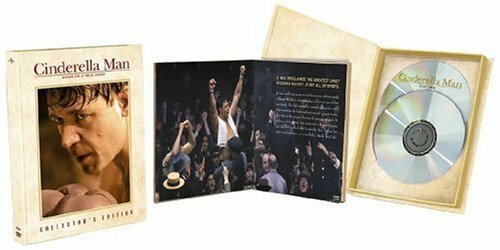 All of the elements listed so far appear on both the standard DVD for Cinderella Man as well as this “Collector’s Edition”. Now I’ll dig into elements exclusive to the CE. We begin with 11 Additional Deleted Scenes. These fill 15 minutes and 20 seconds. Some of these simply elongate current sequences, but some new elements appear. We see: Mike’s problems with authority; Jim’s kids beg for food to help Jim train; Jim with the press after his comeback win; Jim with the family after the fight; Jim mingle with fans; Jim look for Mike in Central Park; and Max before the championship fight. Since most of the main deleted scenes are superfluous, it seems illogical to expect anything more substantial from the “Additional” ones. And that’s the case, as none of them come across as particularly interesting. The extra bits with Jim’s kids are probably the most worthwhile. Next comes a featurette entitled Russell Crowe’s Personal Journey: Becoming Jim Braddock. 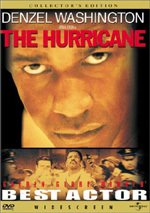 It lasts 27 minutes and 49 seconds and includes remarks from Howard, Dundee, boxers Mark “Junior” Simmonds, Troy Ross, and Kostya Tszyu, stunt coordinator Steve Lucescu, trainer/motivator Mark “Spudd” Carroll, shoulder specialist Dr. Greg Hoy, and physiotherapist Errol Alcott. However, Crowe dominates the show, as he narrates the images. “Journey” offers a video diary of Crowe’s training. We see him get into boxing shape at his farm and all the ups and downs that come with that. The messiest part occurs when Crowe hurts himself and undergoes shoulder surgery. We even get a look inside Crowe, as we watch the poking and prodding through a micro-camera. “Journey” seems a little drippy at first, but it quickly becomes honest, informative and impressive. A dissection of the boxing matches pops up in Lights, Camera, Action: The Fight from Every Angle. This 21-minute and 23-second piece presents notes from Howard, Totino, Lucescu, Ross, Simmonds, Bierko, editors Mike Hill and Dan Hanley, boxing choreographer Nick Powell, and actors Thomasz Kurzydlowski and Art Binkowski. The show covers the methods used to shoot the fights. We see early development and tests, camera selections and photographic work, choreography, and different choices for the various bouts. “Angle” lives up to its name pretty well as it takes us through the fights and allows us to understand why the filmmakers depicted them as they did. It turns into a solid program. A Photo Montage runs for three minutes and 11 seconds. It presents a running piece with a few movie clips, but it mostly depicts the expected stills. Nothing special pops up here. The Sound of the Bell fills six minutes and 21 seconds. It offers comments from Howard and composer Thomas Newman. It covers Newman’s score and the choices he made with the music. He makes this us fairly informative discussion that adds to our appreciation of his work. Information about the era pops up in Human Face of the Depression. This six-minute show presents information from Howard, Grazer, and Goldsman. They discuss using Jim Braddock as a symbol of “everyday heroes” from the Depression. It does little more than reiterate information we already know. That makes it redundant and pretty useless. In the two-minute and 12-second Music Featurette, we hear from Newman as he talks more about his work. This expands on information from the prior piece. It’s fine for what it is, though I’m not sure why it stands as a separate featurette. An area called Pre-Fight Preparations looks at what went into the creation of those scenes. It breaks into four smaller pieces: “Focus on Script” (eight minutes, 19 seconds), “Creating the Reality” (7:37), “Russell’s Transformation” (5:25) and “Inflatable People” (3:44). Through these, we hear from Hollingsworth, Marshall, Crowe, Goldsman, Grazer, Thomas, Hallowell, Totino, Dundee, location manager Keith Large, hair stylist Manny Millar, and inflatable extras supervisor Joe Biggins. The bits cover the project’s genesis and development, set design and locations, replicating the old Madison Square Garden, Crowe’s attempts to tranform into Braddock, and the use of dummies as audience members. These pieces occasionally toss out some new information, but you’ll find a lot that you already know if you checked out the other supplements. “Transformation” and “People” are the most interesting of the bunch, largely because they include the highest level of unique material. All sometimes become redundant, though. Finally, the disc ends with Braddock vs. Baer Fight Footage. This goes for 31 minutes and 58 seconds and presents the entire title bout. This comes with no commentary of any form. Instead, we simply watch the fight as it happened. That fact makes it a really cool extra. Other parts of the DVD offer snippets of the match, but I really like the ability to check out the whole thing. The CE concludes with some materials not based on discs. According to what I’ve read, we get “a commemorative book & limited edition photo cards”. My review copy of the movie didn’t include these pieces, so I can’t comment on them other than to mention their existence. Professional but unspectacular director presents Cinderella Man, another professional but unspectacular movie. The film entertains but lacks much substance and fails to turn into anything memorable. The DVD offers moderately above average picture and sound along with a pretty solid set of extras. This is a good DVD for a decent film. Should fans pursue the Collector’s Edition described in this review, or would they be better off with the standard version? The latter retails for $15 less than this one’s $45 list price. I think most viewers will be fine with the cheaper release, but I do really like the CE and its components. It offers many fine materials and will be worth the extra expense for fans with an interest in its components.